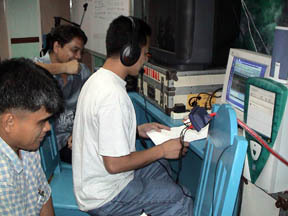 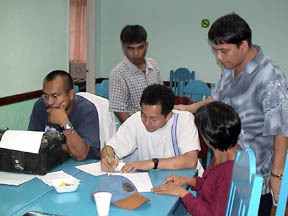 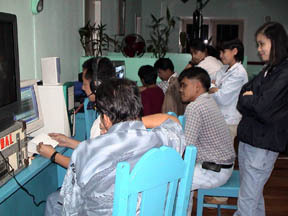 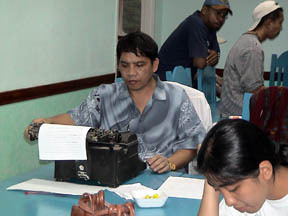 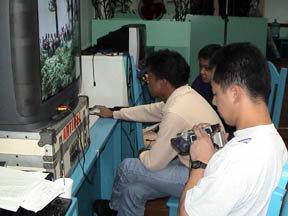 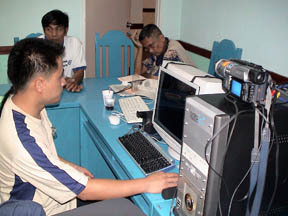 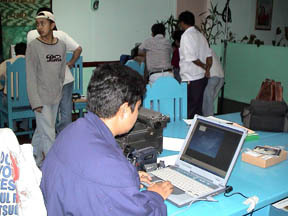 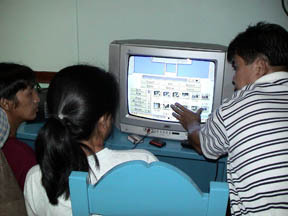 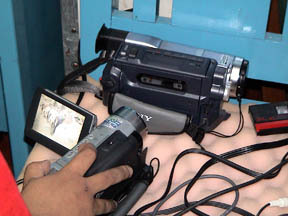 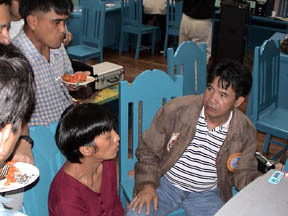 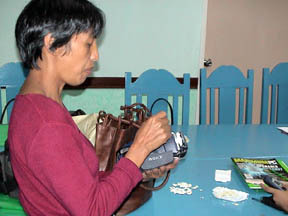 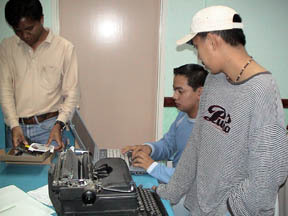 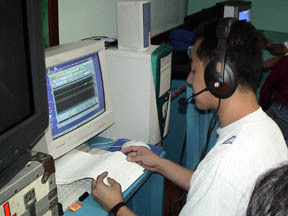 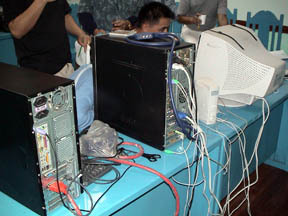 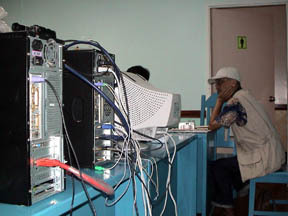 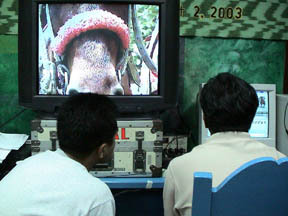 The Cordillera News Agency-Television celebrated its tenth anniversary in August 2003 by conducting a Video Production Workshop at the Philippine Information Agency Training Center. 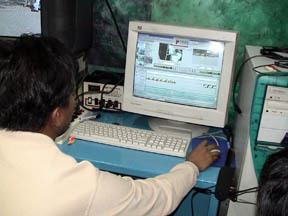 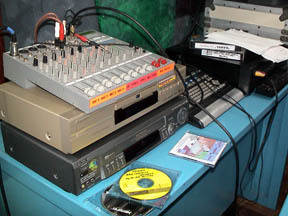 Photos below shows the participants in their post-production stage mixing analog and digital shoots and finalizing their works in non-linear-editing machines. 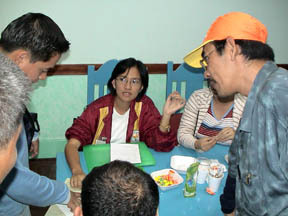 Not shown above are the CNA Facilitators, Guest Lecturer Howie Severino and Prof. Filipinas Estepa. 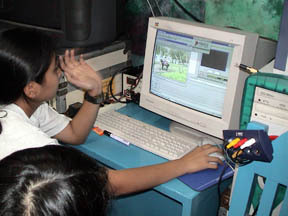 Among the equipments and softwares used in the video production workshop include, an Avio Casablanca owned by Gabby Ruliva, video editing PCs with Adobe Premiere and Pinnacle Studio, Cool Edit audio-recording software and an array of titlers, audio and video mixers and processors. 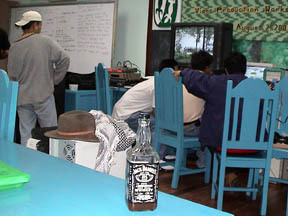 A bottle of Jack Daniels was was particularly helpful to perk up dull moments during the editing.